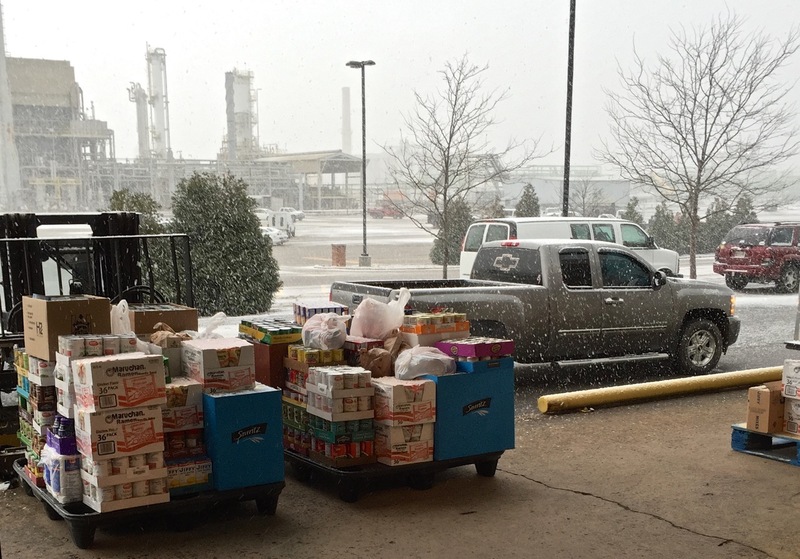 Winter Food Drive Ends with a Flurry | United Food Operation, Inc. Typical for the this year’s distribution days, a snow flurry hits the United Food Operation warehouse early Saturday morning on the final day of the winter food distribution program. 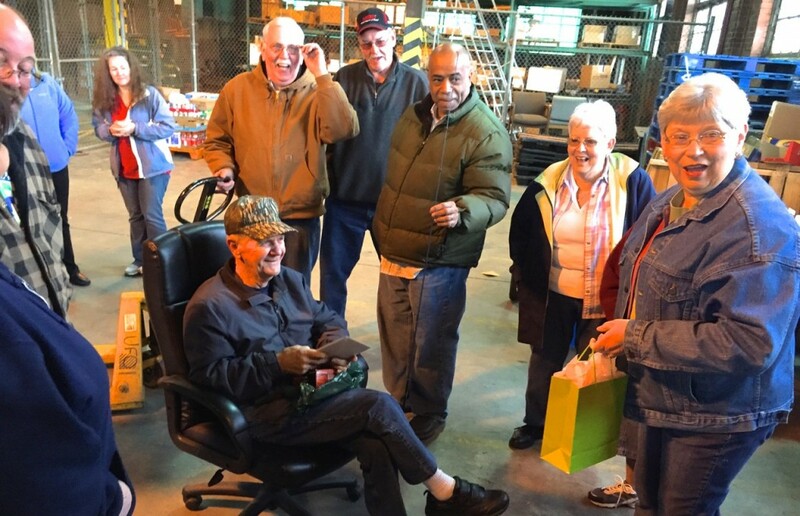 Winter snow flurries couldn’t stop the flurry of activity as the final day of the 2015 winter food distribution program took place at United Food Operation, Inc. (UFO). The winter campaign ended March 28 with a group breakfast for volunteers and food pantry workers. Volunteers sorted food and loaded trucks as usual. A large group showed up for the final day of the winter program. Among this year’s contributions, Harris mentioned the work of the Communications Workers of America and Frontier Communications Corp., who really came through with big time support that helped the campaign end on a very positive note. 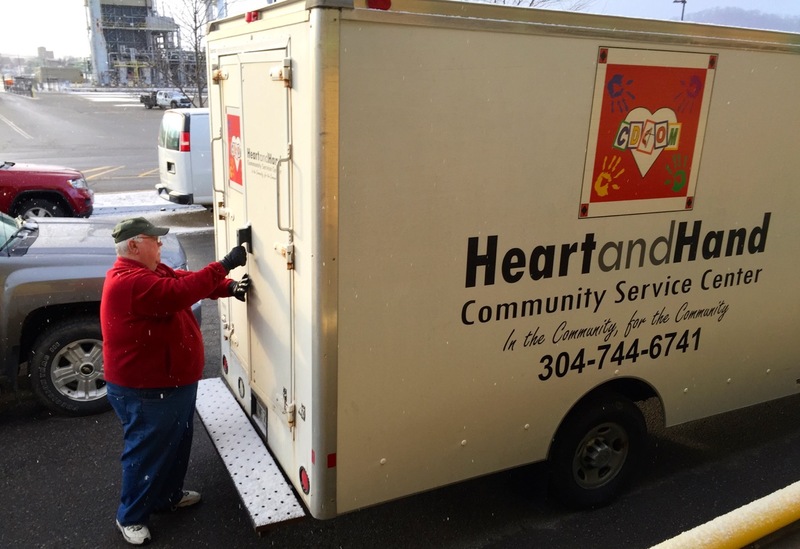 The program distributed packaged food to 12 independent food pantries in Kanawha and Putnam counties for 12 weeks of the winter season. 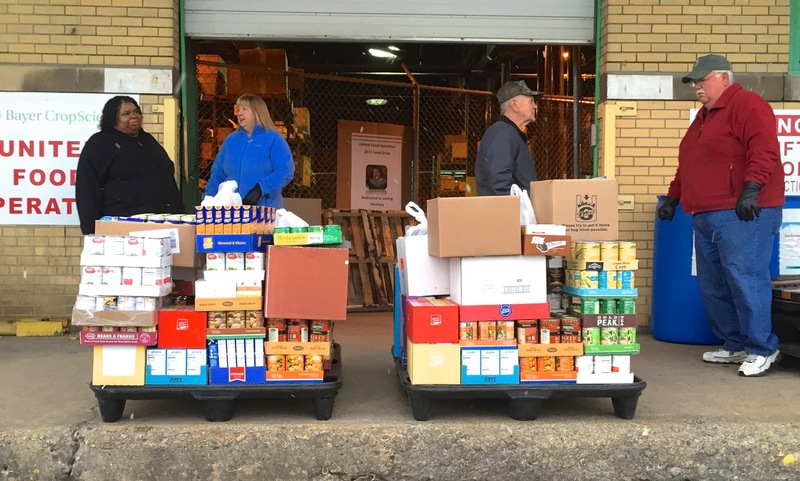 This is the time of year during which food pantries experience increased need as people’s heating bills peak, leaving less in the family budget for food purchases. UFO is an all-volunteer operation. It pays no salaries or contracted employees. It operates from donated warehouse space provided by Bayer CropScience at the Institute Industrial Park. All the funds individuals donate to the organization go to purchase and distribute food. Noble Pickens, sitting, receives gifts of a fishing rod and reel in appreciation for his many years of volunteer service to UFO. 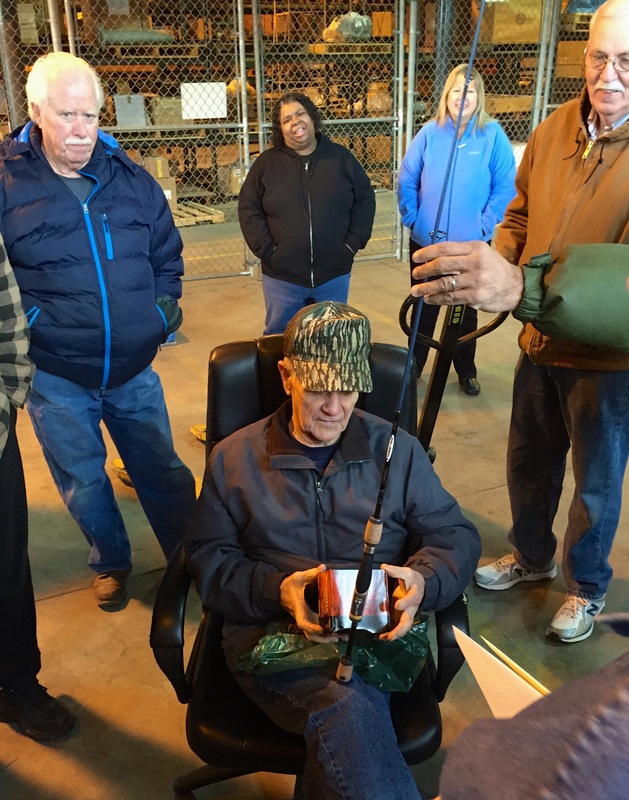 The organization honored Noble Pickens for his many years of volunteer service to the group. 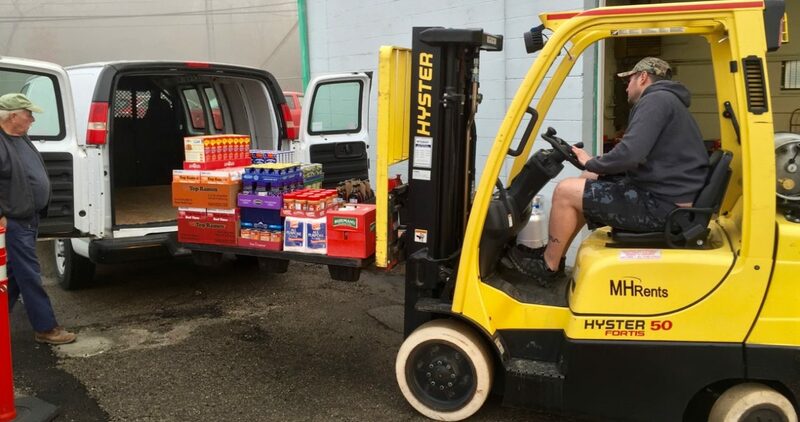 Noble has long served as the warehouse coordinator, managing both food purchases and distributions for the program. 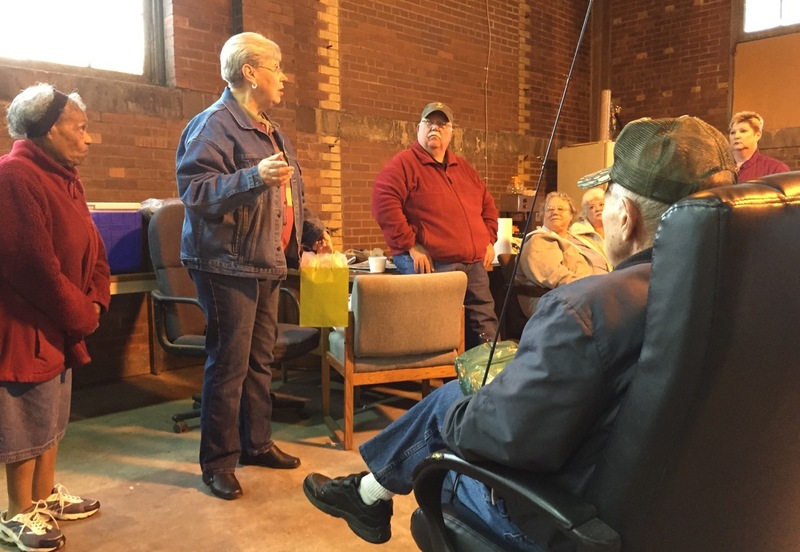 United Food Operation could not be successful it it weren’t for folks like Noble who have spent countless hours through the years working to help those less fortunate. UFO is so indebted to him and other long-term volunteers who make the group go. 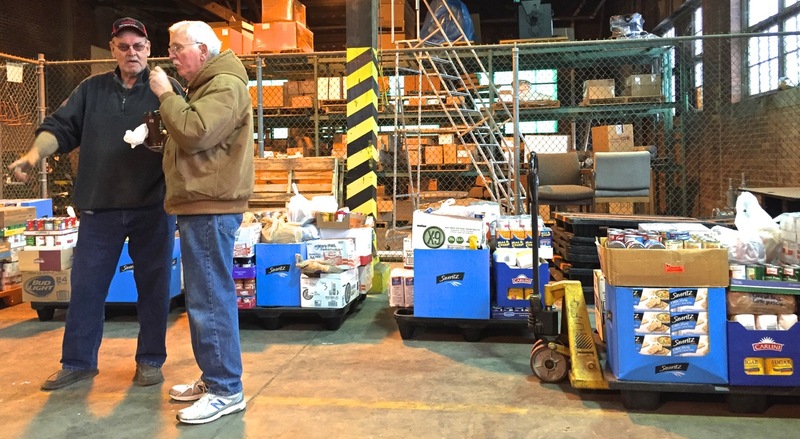 The next organization activity will be assisting with the Letter Carriers Food Drive in May. 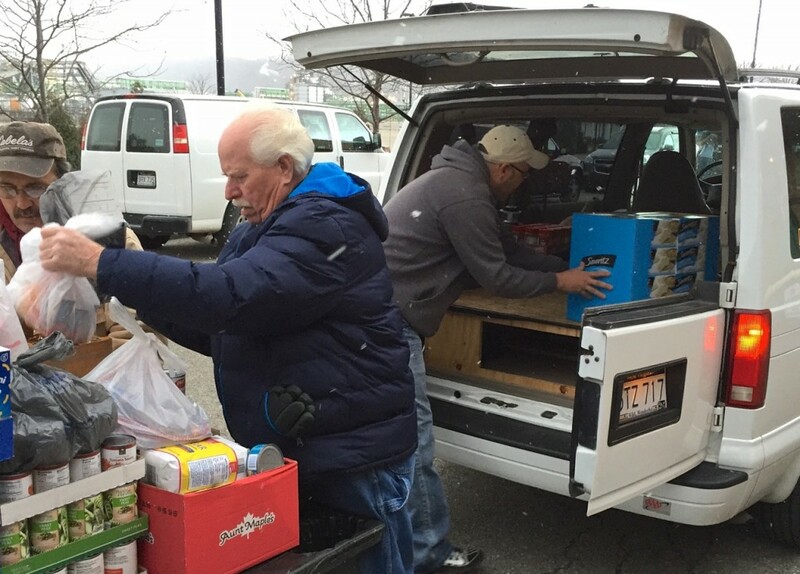 Letter carriers in the Charleston, WV, region use UFO to distribute the donated food to local food pantries. As UFO closes the door on another winter food distribution season, plans are already being made for next year. Volunteers are always needed for fundraising and food collection activities. For information call Elaine Harris at (304) 342-2023.